Taking the revolution to another level! Dance Dance Revolution (Dance Dance Revolution Hottest Party 4 in Europe) enhances the entire series' across all platforms! Dance Dance Revolution is sure to be the life of the party and get you into shape with outrageous multiplayer fun, huge smash hit soundtrack, entirely new modes and more! There is now a DanceDanceRevolution for everyone! 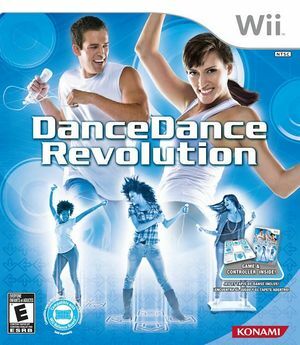 And after more than a decade as one of the most popular franchises in the music genre, Dance Dance Revolution has transcended from a video game into a pop culture icon. Konami Branded DDR Dance Mats for the Wii that plug into GameCube slots can be used over Native GameCube Controller Support. Other branded dancemats must be manually configured through standard adapters. The graph below charts the compatibility with Dance Dance Revolution since Dolphin's 2.0 release, listing revisions only where a compatibility change occurred. This page was last edited on 10 January 2018, at 17:35.